Studies show that teens and young adults suffering from migraine headaches are likely to have abnormally low blood levels of Coenzyme Q10. Coenzyme Q10 is an essential bio-nutrient that is important in the production of cellular energy and in the antioxidant protection of the cells. On the sciencedaily.com website, there is a report of a conference paper presented by Dr. Suzanne Hagler of the Cincinnati Children’s Hospital at the Annual Scientific Meeting of the American Headache Society in San Diego. Dr. Hagler reported that teens and young adults with migraine headaches are often found to have mild deficiencies of Coenzyme Q10, vitamin D, and the B vitamin riboflavin . Interesting, I thought. Coenzyme Q10 is produced in all of the body’s cells except the red blood cells. The body’s production of Coenzyme Q10 rises until a person reaches his or her 20s, and, from then on, the bio-synthesis of Coenzyme Q10 declines steadily. By age 65, senior citizens may be producing only half as much Coenzyme Q10 as they did when there were 25 years of age. Hence the need for a good Coenzyme Q10 supplement. I had not thought of Coenzyme Q10 deficiency in connection with young people. But, of course, if the extent of human bio-synthesis of Coenzyme Q10 is normally distributed, then it makes sense that as many as 16 percent of young people — one standard deviation below the mean — produce too little Coenzyme Q10 in their cells. Coenzyme Q10 cannot be classified as a vitamin because the human body does synthesize the substance, but Coenzyme Q10 functions like a vitamin. Coenzyme Q10 is essential for the optimal functioning of many cells and organs. Coenzyme Q10 is important in the process of providing energy to the cells, and Coenzyme Q10 plays an important role as an antioxidant protecting cell membrane lipids and lipoprotein lipids in the blood. The medical literature on the topic of Coenzyme Q10 supplementation for migraine sufferers is somewhat sparse; however, there is enough evidence to make supplementation with Coenzyme Q10 a priority. Study: In 2015, Dr. Gaul of the Headache Clinic in Königstein im Taunus, Germany, reported on the results of a randomized, placebo-controlled, double-blind, multicenter trial using Coenzyme Q10, magnesium, and riboflavin as a prophylactic treatment for migraine . The study results showed that the prophylactic treatment containing 150 mg of Coenzyme Q10 reduced the frequency of migraine attacks and the intensity of migraine pain. Study: In 2011, Dr. Slater of Cincinnati Children’s Hospital reported the results of a double-blind, placebo-controlled, cross-over study in which children and adolescents with migraine took 100 mg of Coenzyme Q10 or placebo for 32 weeks . The study data showed that, after four weeks of treatment, the patients treated with Coenzyme Q10 had a significantly greater improvement in attack frequency. Study: In 2007, Dr. Hershey, also of Cincinnati Children’s Hospital, reported on a study of the prevalence of Coenzyme Q10 deficiency in migraine headache patients and on a study of Coenzyme Q10 supplementation of migraine headache patients . In 1550 patients with a mean age of 13.3 years, the researchers in Cincinnati found that the average Coenzyme Q10 level was 0.60 micrograms per milliliters. Almost one-third of the patients, 32.9%, had Coenzyme Q10 levels that were in the deficiency range. The patients with the low Coenzyme Q10 levels were started on 1 to 3 milligrams of Coenzyme Q10 per kilogram of body weight per day. That is to say, a young person weighing 100 pounds would take 45 to 135 milligrams of Coenzyme Q10 per day. The study data from a subset of the young patients who were tested after a period of three months showed that the patients’ Coenzyme Q10 levels had increased to 1.20 micrograms per milliliter on average and that their headache frequency had declined from 19.2 attacks on average to 12.5 attacks. Furthermore, the patients’ headache disability scores had improved significantly. Supplementation had increased average Coenzyme Q10 levels from an average of 0.60 micrograms per milliliters to an average of 1.20 micrograms per milliliters, and the health effect became apparent. Study: In 2005, Dr. Sandor at the University Hospital in Zürich, Switzerland, reported the results of a randomized, double-blind, placebo-controlled study in which 42 migraine patients took Coenzyme Q10 (3 x 100 mg/day) or placebo . The study data showed that, by the third treatment month, the patients taking the Coenzyme Q10 had had better results for attack-frequency, headache-days, and days-with-nausea. The Coenzyme Q10 supplementation was effective and was well-tolerated by the patients. Study: In 2002, Dr. Rozen of Thomas Jefferson University, Philadelphia, Pennsylvania, reported the results of an open-label study in which migraine patients were treated with 150 mg of Coenzyme Q10 daily . Six out of ten migraine patients treated with Coenzyme Q10 had a greater than 50% reduction in the number of days with headaches. Moreover, the average number of days with migraine declined from an average of 7.34 days at baseline to an average of 2.95 days following 3 months of Coenzyme Q10 therapy. 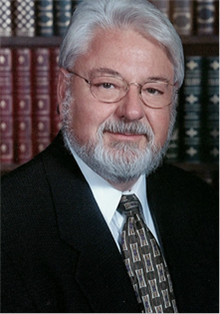 Dr. William Judy, Founder and Chairman of SIBR Research, Inc.
1. There are enough solid study results now to make it worthwhile to recommend Coenzyme Q10 supplementation to migraine patients. 2. Coenzyme Q10 is affordable and is safe and well-tolerated. 3. A daily dosage of 200 mg/day, taken twice daily as 100 mg with meals, would be more effective than 100 or 150 mg once daily. 4. Supplementing with CoQ10 in patients with migraines may be slow because of the time that is required to increase brain Coenzyme Q10 levels. Evidently, once a threshold brain level is reached, the severity and frequency of migraines are significantly reduced. 5. In the migraine patient just as in the heart failure patient, Coenzyme Q10 supplementation must be a continuous supplementation. Once the Coenzyme Q10 supplementation is stopped, the migraines will slowly return. A trusted colleague makes the further point to me that he would want to take a magnesium supplement and a vitamin B complex supplement along with the Coenzyme Q10 supplement. Cincinnati Children’s Hospital Medical Center. (2016, June 10). Many with migraines have vitamin deficiencies, says study: Researchers uncertain whether supplementation would help prevent migraines. ScienceDaily. Retrieved June 14, 2016 from www.sciencedaily.com/releases/2016/06/160610140645.htm. Gaul, C., Diener, H., & Danesch, U. (2015). Improvement of migraine symptoms with a proprietary supplement containing riboflavin, magnesium and Q10: a randomized, placebo-controlled, double-blind, multicenter trial. The Journal of Headache and Pain, 16516. Hershey, A. D., Powers, S. W., Vockell, A. B., Lecates, S. L., Ellinor, P. L., Segers, A., & Kabbouche, M. A. (2007). Coenzyme Q10 deficiency and response to supplementation in pediatric and adolescent migraine. Headache, 47(1), 73-80. Rozen, T. D., Oshinsky, M. L., Gebeline, C. A., Bradley, K. C., Young, W. B., Shechter, A. L., & Silberstein, S. D. (2002). Open label trial of coenzyme Q10 as a migraine preventive. Cephalalgia: An International Journal of Headache, 22(2), 137-141. Sándor, P. S., Di Clemente, L., Coppola, G., Saenger, U., Fumal, A., Magis, D., & Schoenen, J. (2005). Efficacy of coenzyme Q10 in migraine prophylaxis: a randomized controlled trial. Neurology, 64(4), 713-715. Slater, S. K., Nelson, T. D., Kabbouche, M. A., LeCates, S. L., Horn, P., Segers, A., & Hershey, A. D. (2011). A randomized, double-blinded, placebo-controlled, crossover, add-on study of CoEnzyme Q10 in the prevention of pediatric and adolescent migraine. Cephalalgia: An International Journal of Headache, 31(8), 897-905. Please click here for additional information about well-documented Coenzyme Q10.